My dad sitting in front of Niagra Falls. Him and my mother drove the VW to Canada for their honeymoon. Fortunately for me, my father has always been pretty skinny. In high school I used to wear his army pants that had a 27" waist. It was the perfect grunge moment to pull theses fatigues from the closet. In fact, I think I might just grab his jacket today and throw it over my leggings, pairing it with my Mexican soldier boots. Sounds like a good throwback Thursday look! 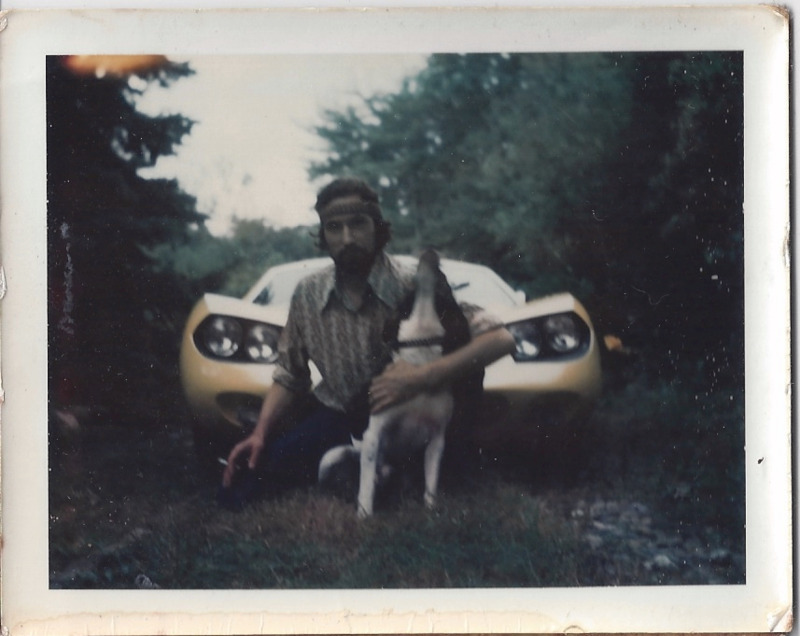 My dad with his dog and one of his favorite cars. My dad has always been an entrepreneur in his own right. During the 60s he had a Man with A Van business. With his Volkswagen panel truck he used to haul garbage, tree trunks, and moving boxes from Germantown or Washington Heights up to Northern Westchester and Rockland. The truck had poor heating and commercial plates, so he couldn't use most of the highways leading out of NYC. He would tell crazy stories about driving down Bear Mountain during a snowstorm, before there was even have a guardrail. The cliffs dropped down over 1,000 feet to the Hudson below. That must have been quite an adventure!